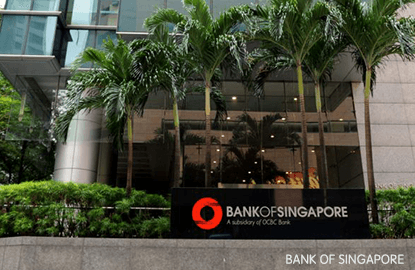 SINGAPORE (March 14): Bank of Singapore (BoS) is maintaining its moderately defensive asset allocation stance with a preference for credit over equity, as a Fed hike in March is “all but certain” with two more hikes forecast to occur by end-2017. “Although the market has not priced three hikes by end-2017 yet, the gap between the Fed’s median dots – which have currently three hikes in 2017 and another three hikes in 2018 – and market pricing has started to narrow,” observes BoS investment strategist James Cheo in a Monday report. According to Cheo, the bank is retaining its cautious stance on equities as current valuations look elevated and higher compared to the previous Fed hiking cycle of 2004 and 1994. “Past Fed tightening cycle[s] typically triggered some equity market corrections, especially if investors conclude the Fed is behind the curve. At this juncture, a short-term pullback or consolidation is not surprising given that equity markets are trading at elevated valuations… However, the positive economic and earnings outlook warrants not going even more underweight on equities,” he explains. The strategist adds that while previous Fed rate hikes have been known to create some short-term market volatility, he believes stock markets have a tendency to rise over the longer term and over the course of each tightening cycle. An even more crucial variable on how equities will perform would be the level of inflation during which the hiking cycle will occur, says Cheo, as the effect of higher rates have historically been “more benign” when reflective of an improving economy. BoS is however maintaining its “overweight” view on high yield bonds as it believes a modest rate hike cycle would have little impact on the credit situation of high yield issuers – and in fact, would preserve the credit spreads of high yield bonds. Conversely, it remains “underweight” on Asian equities with a preference for domestically-oriented companies, noting that portfolio capital has a tendency to leave the emerging market (EM) world as monetary conditions tighten in the developed market (DM) world, especially in the context of a strong dollar. “Looking beyond the March rate hike, the Fed is preparing for a formal discussion on shrinking its balance sheet – quantitative tightening. Initially this will happen by ending the reinvestment of proceeds from maturing bonds and it seems likely to start in 2018,” says Cheo. “Our base case is for US bond yields to grind higher in response to Fed tightening and stronger economic growth. We expect the 10 year US Treasury bond yields to move to 3% in 12 months. The risk is that aggressive fiscal policy sends yields up faster,” he adds.